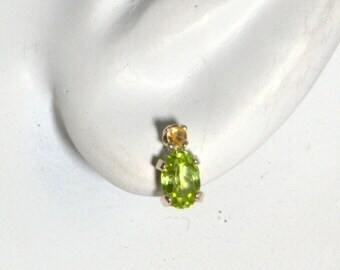 This beautiful spinel is as clear and true as a beautiful spring sky. Perhaps it is the same color as your love's eyes. Perhaps it is the same hue as your favorite pair of blue jeans. Whichever the case, this brilliant blue stone will match any wardrobe and a sunny mood. Use this ring as an engagement ring or promise ring to show the woman you love that you see her unique strengths. The stone is a large one and will catch peoples' eyes from across the room, however the subtle shading and classic cut keep it from seeming garish. 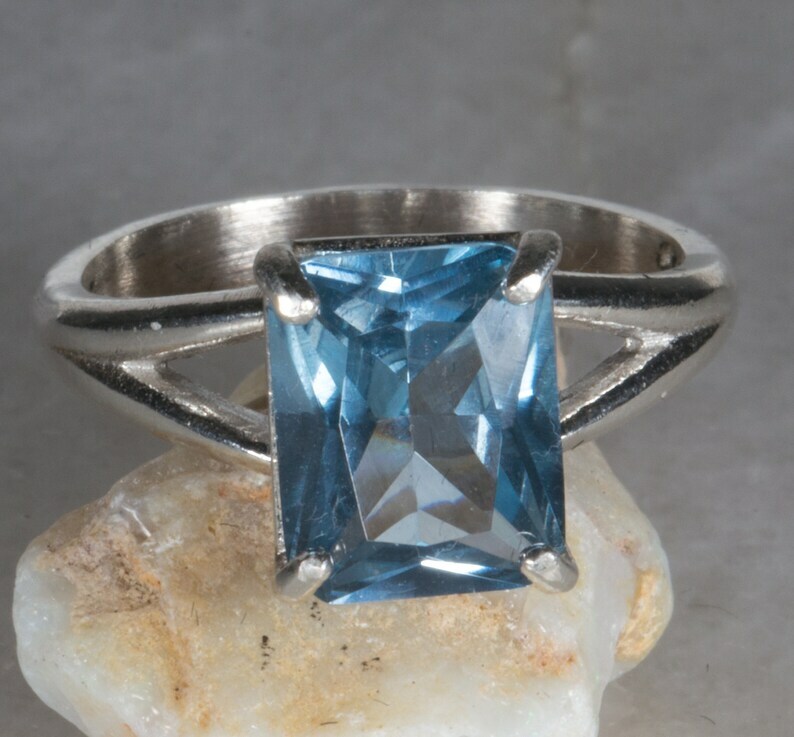 A beautiful sky blue spinel is mounted in a delicate looking however very sturdy setting suited for every day use. 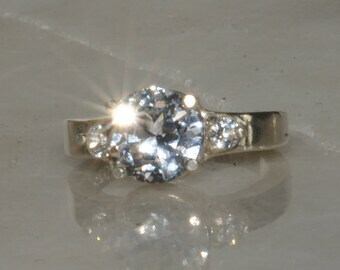 The ring is size 7 but can be resized for a nominal fee. 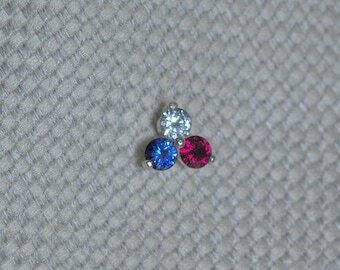 London blue topaz earrings in silver. 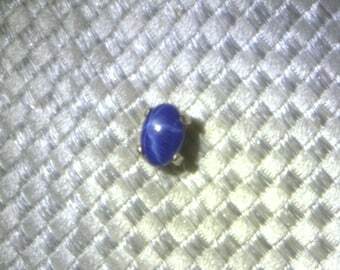 Sapphire pendant with triple padparadscha sapphire accent. 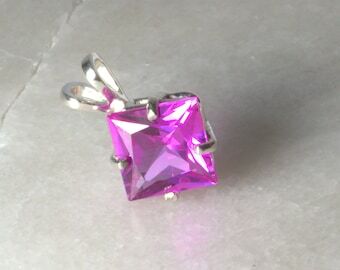 Impressive Pink Sapphire Silver Pendant .